One year ago today Maryland made national headlines for officially decriminalizing simple marijuana possession, while back home the statewide buzz over decriminalization overshadowed each of last year’s new laws. The climate is vastly different this October 1st, as almost all the media attention is focused on an approaching hurricane rather than the on statue books. But there are a few new laws effective today in the criminal arena that have the potentially to dramatically impact the lives of thousands of Marylanders. One of these laws is actually related to decriminalization, and was likely the inspired by lawmakers taking simple marijuana possession off the criminal books. Starting today anyone convicted of an offense no longer classified as a crime under state law will now be able to apply for expungement. This is huge news for the far too many that have been carrying around the baggage of an unwarranted criminal record for years. The large majority of these cases will undoubtedly be for possession of less than 10 grams of marijuana, which will no longer be a permanent scar on a person’s background. In addition, those who received probation before judgment for possession less than 10 will no longer have to wait three years to apply for an expungement, as applications may be filed immediately, or in some cases as soon as probation terminates. In addition to expanded expungement, the aptly named second chance law also goes into effect today. This law will allow those convicted of certain nonviolent misdemeanors to shield their conviction from public view after 3 years. The eligible offenses include disorderly conduct and disturbing the peace, failure to obey a law enforcement officer, malicious destruction of property less than $500, and trespass on posted property. Other offenses include possession of drug paraphernalia, possession of a noncontrolled substance, and prostitution. Soliciting a prostitute or assignation is specifically excluded from the shielding statute. The second chance law also applies to certain misdemeanor traffic offenses such as driving on a suspended license or without a license and driving while uninsured. In addition to the three year wait, which begins after parole or probation has ended, defendants wishing to avail themselves of the shielding statute must also be aware of other conditions. One important limitation is that person may only shield prior convictions once during his or her lifetime; so choosing wisely when to apply is of great importance. The statue was designed to give a prior offender one free pass when it comes to seeking employment or applying for school or some professional licenses, but it was not designed to give two or more free passes. If you apply to shield your prior convictions you must do so with the knowledge that it’s a one shot deal. 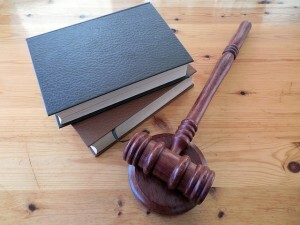 Another provision prohibits shielding one particular conviction if there is a non-shieldable conviction attached to it. Finally, if an applicant incurs a new conviction during the three-year wait period, he or she will be prohibited from shielding the original offense unless the new offense is also eligible for shielding. Perhaps the most important shielding law provision is that the legislature provided it with teeth. Once a conviction has been shielded from the public record the statue prohibits a host of agencies from asking about it, and it punishes those agencies for discriminating against a person who refuses to disclose its details. Schools, licensing agencies and employers face up to a $1,000 fine for violating this provision. There are numerous agencies that are exempt from the provision (such as the medical marijuana commission), but for the most part it provides the necessary muscle to assure the statute succeeds in doing what it was created to do, which is to offer a second chance. Benjamin Herbst is a Maryland criminal defense attorney who handles all types of cases including misdemeanors such as disorderly conduct and malicious destruction of property and traffic offenses such as driving on a suspended license. Contact Benjamin for a free consultation anytime at 410-207-2598.